Hanoi (VNA) – The Vienam Cheo Theatre will perform at a concert to mark the World Reconciliation Day in Hanoi on September 9, said Director Meritorious Artist Thanh Ngoan. 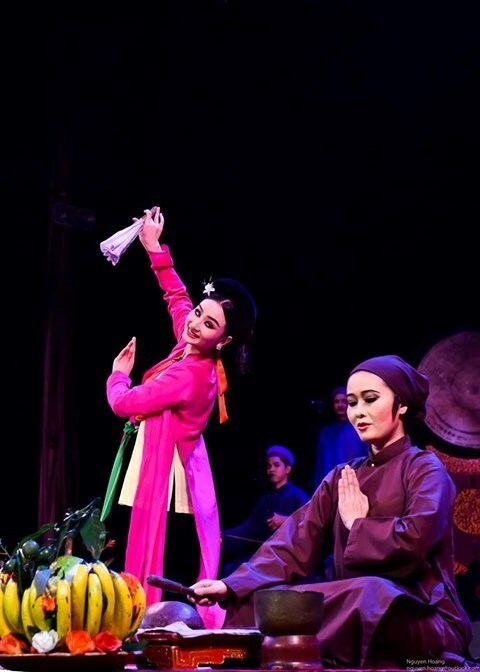 The theatre will perform cheo (popular opera) Quan Am Thi Kinh (Goddess of Mercy) at the annual concert held by UNESCO, the University of California Los Angeles Chair on Global Learning and Global Citizenship Education. This year, the concert, themed "Music for Global Citizens" peforming classical music as part of the Wolrd Reconciliation Day festivities, will be held in Tokyo and Hanoi. In Tokyo, cellist Tamas Varga and the Vienna Symphony Orchestra will perform with Japanese pianist Rika Miyatani and Waseda University’s Chorus on September 6. The first World Reconciliation Concert was held at Hanoi Opera House in 2010. Quan Am Thi Kinh will be performed by the theatre’s four generations of cheo artists. Veteran artists Bao Quynh, Ha Thao, Tuan Tai and Ba Dung will play the main roles of the play. "It is the most famous repertoire of classical cheo plays in Vietnamese traditional art," Ngoan said. "Cheo is authentically Vietnamese which is popular to international friends". Set in the 10th century as a statement about the beauty of love, compassion and selflessness, Quan Am Thi Kinh is a story about the transcendental journey of a young, fair lady to her Buddhahood. Cheo originated in the 10th century from folk music and dance, especially tro nhai - simple mimetic skits. These skits showed the lives of ordinary people as well as royalty. Over time, writers consolidated cheo short stories based on these skits into longer and united plays. The Hanoi show will be presented by Professor Carlos Torres Chair, UNESCO Chair, Global Learning and Global Citizenship Education and Nguyen Anh Tuan, chair of the International Advisory Committee of UNESCO - UCLA Chair on Global Citizenship Education.